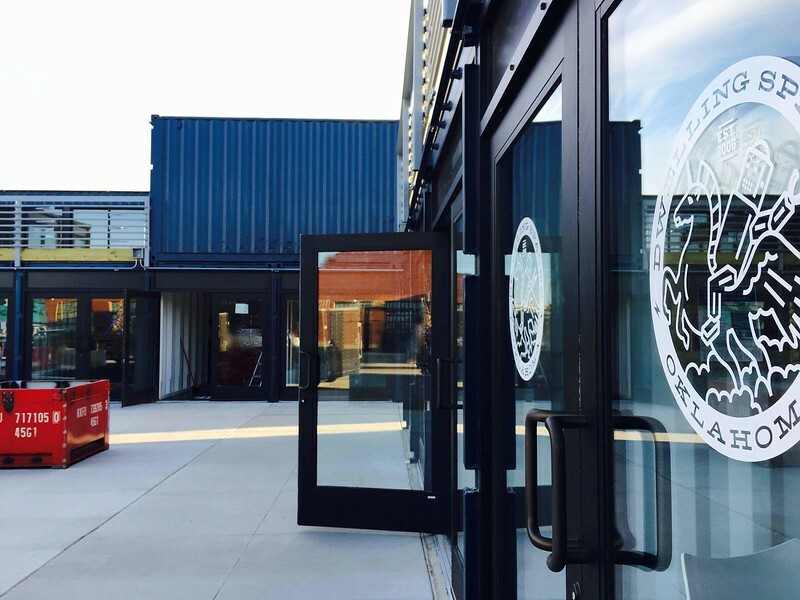 Innovative retail center constructed from repurposed shipping containers activates an empty lot, looks to spark a retail revival in downtown Tulsa. One of the most underappreciated urban secrets in the Southwest involves the turning tides in a city most often associated with ‘winning’ Streetsblog’s Golden Crater award in 2013. Since that forgettable recognition, aided by improving economic conditions and a renewed sense of optimism and local responsibility among private developers and business owners, downtown Tulsa, OK has experienced a rebirth that many believe is sustainable for the long term. 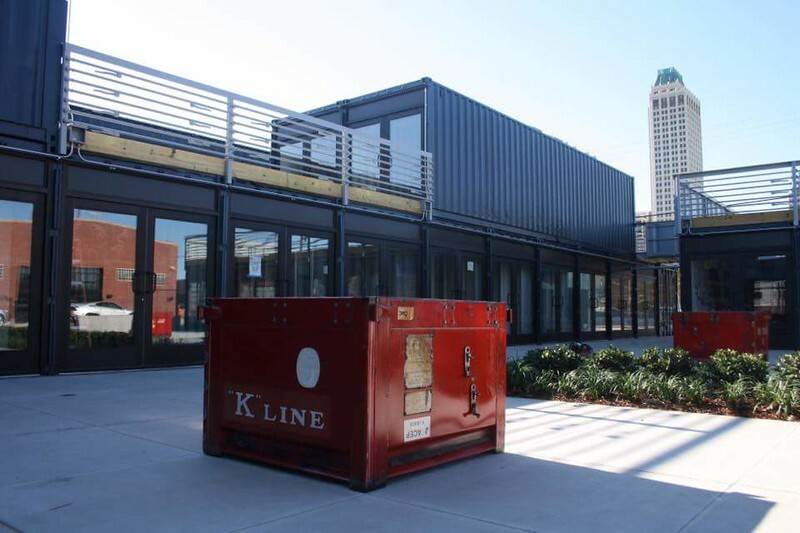 One such developer, Nelson+Stowe Development, has made a big bet on Tulsa’s urban resurgence with the opening The Boxyard in December 2016, a $2.5 million downtown retail center constructed from 39 repurposed shipping containers. 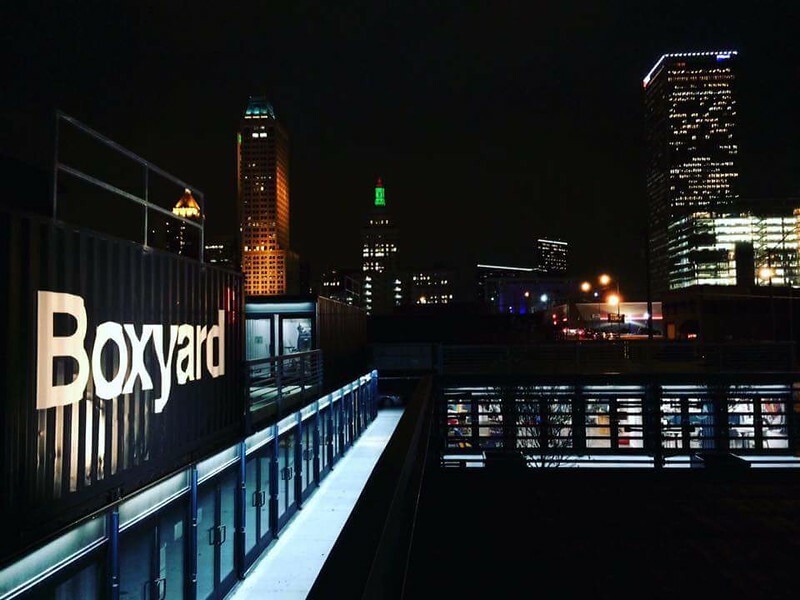 Located in the East Village, The Boxyard has roughly 14,000 square feet of retail space to house upwards of 21 businesses. The complex also offers public space, including 12,000 square feet of roof space intended to create an experiential destination for shoppers. Tulsa’s urban core is generally described as the area within the Inner Dispersal Loop (IDL), a square-shaped highway system that frames downtown made up of I-244, Highway 64 and Highway 75. Downtown Tulsa has a sparse residential population of slightly more than 4,000 people within the IDL, however a workforce population of over 40,000 people from employers such as ONEOK, Wllliams Companies and Bank of Oklahoma Financial along with a student population of over 16,000 from the University of Tulsa located within a stone’s throw of downtown has fueled a boom in restaurant and entertainment businesses opening within Tulsa’s urban core. However, retail has been slow to catch on. 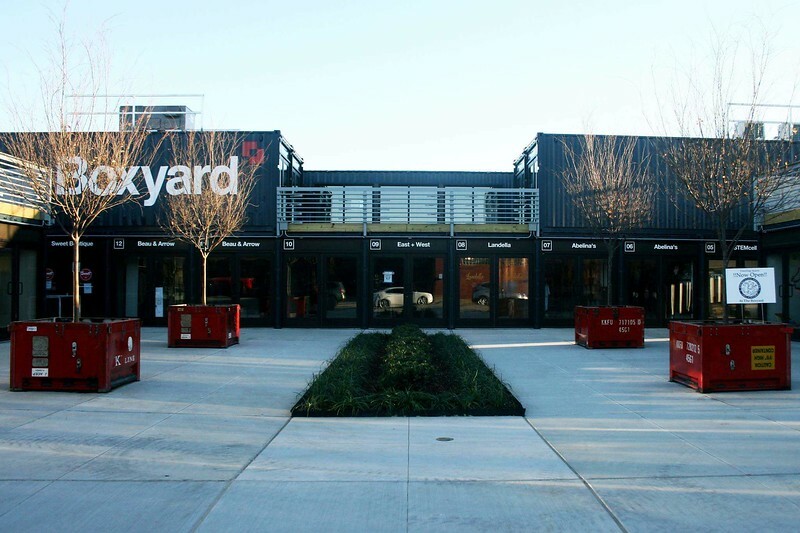 The Boxyard was built to serve as a catalyst for the return of retail to downtown by providing a centralized cluster of complementary businesses located in an attractive setting. It seems as though the stars have aligned for The Boxyard. Not only have people returned to Tulsa’s urban core attracted by new restaurants and nightlife venues, but experienced teams of local developers are ensuring that this new wave of businesses are authentically embraced by Tulsans. To that end Nelson+Stowe Development is no stranger to urban development, spearheading projects within the IDL such as the $3 million redevelopment of a dilapidated building built in 1925 into 36 affordable apartments called Coliseum Apartments and the construction of a $26 million 162-unit market rate apartment complex called The Edge.